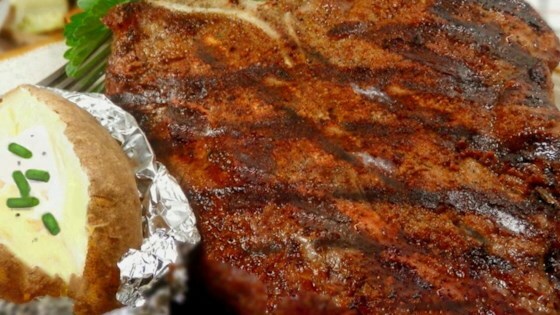 "This seasoning makes any steak awesome. This is the best. It doesn't overpower the steak. I can't eat a steak out anymore because I always compare it to this seasoning." Rub the steaks on all sides with the seasoning mixture. Cook on the preheated grill to your desired degree of doneness, 3 to 3 1/2 minutes per side for medium-rare. An instant-read thermometer inserted into the center should read 130 degrees F (54 degrees C). Good recipe however too much salt. I would cut down on the amount of salt however husband and son enjoyed it on New York strip steaks.